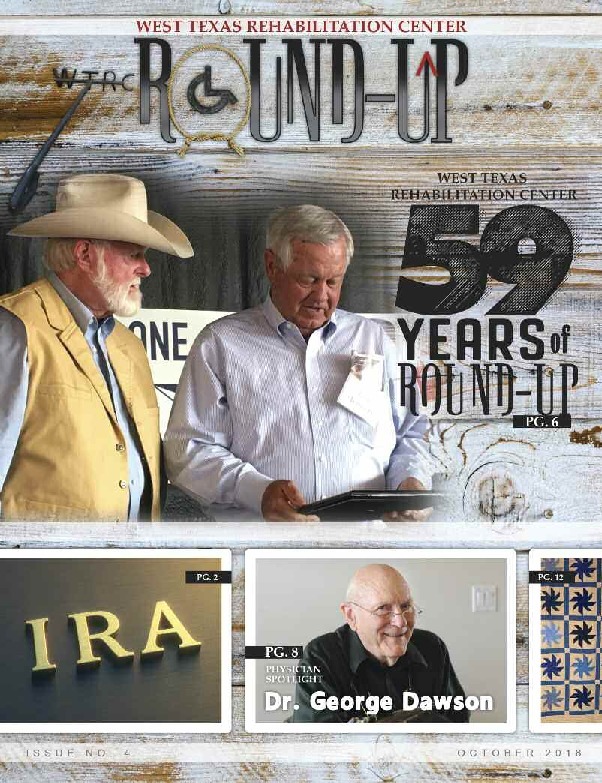 The West Texas Rehabilitation Center’s “Round-Up Magazine” is a publication that serves as our newsletter. 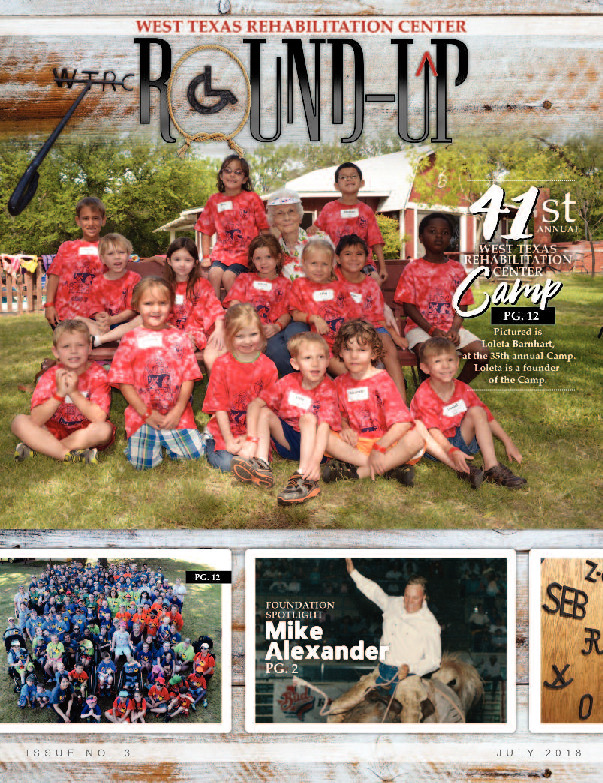 We highlight departments, patients, volunteers, physician partners, hospice, our foundation, sponsors, donors, and events. 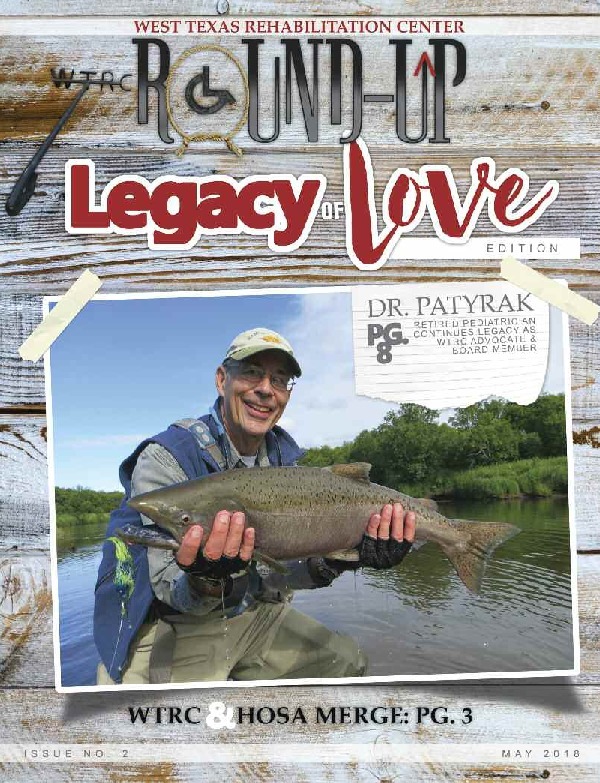 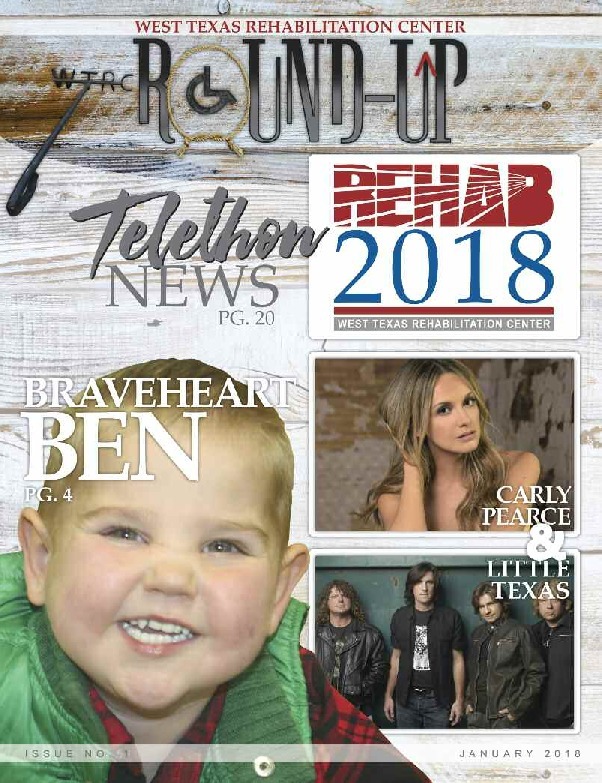 The magazine is published each quarter beginning with the Telethon issue in January, Legacy of Love issue in April, Events issue in July, and Round-Up issue in October. 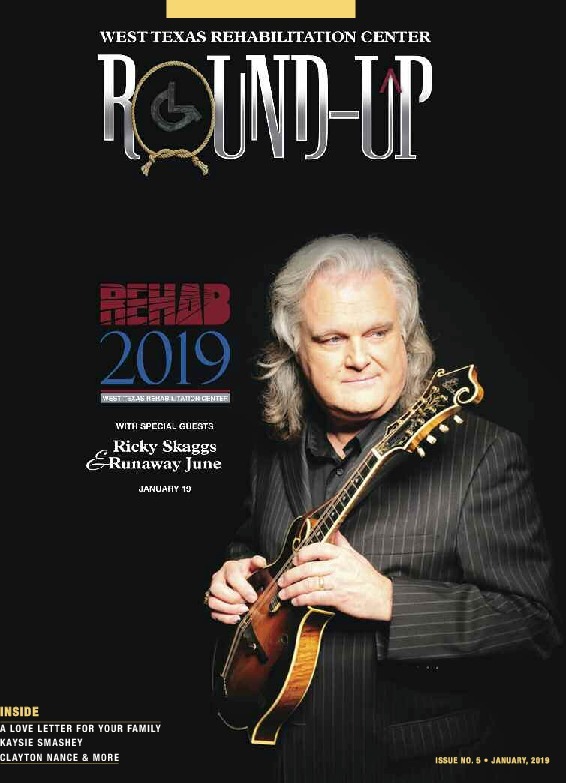 If you’d like to receive a free copy of the magazine, please contact our Community Development Director at kmasonheimer@wtrc.com.